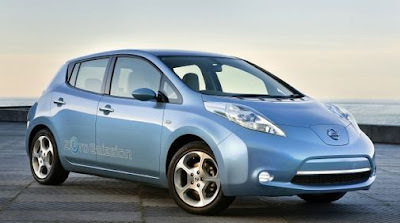 Nissan plans to sell up 1.5 million electric vehicles by 2016 as part of its latest 'Nissan Green Programme'. The strategy also includes new hybrid and fuel-cell systems, a new CVT transmission, and revised steel construction for its future models. Outlining its future 'green' plans at its Advanced Technology Briefing on the outskirts of Tokyo today, Nissan said fuel cell-powered vehicles would join its future line-up from 2015. These would be powered by an 85kw fuel-cell stack; that's the most power-dense the industry has yet seen and a full 2.5 times smaller than Nissan's previous fuel-cell stack. The Japanese firm launched the all-electric Nissan Leaf last year and has sold more than 17,000 units to date. Despite the zero-emissions tag, Nissan concedes the process used to generate electricity is far from eco-friendly and is pushing for a wider adoption of renewable energy to be used to power its EVs. It is also helping develop a wider infrastructure for EVs and developing a wireless charging system for the leaf. As well as electric and fuel-cell vehicles, Nissan is also increasing its development of hybrid models. It today unveiled a new hybrid system for front-engined, front-wheel drive models that includes a supercharged 2.5-litre four-cylinder engine, electric motor and lithium-ion battery pack. North America will get a new CVT gearbox from next year for 2.0-litre to 3.5-litre petrol models that claims to cut fuel consumption by 10 per cent and provide a more responsive driver. Its smaller CVT gearbox, designed for 1.2-litre to 1.8-litre models, has already been introduced on the new Nissan Micra. Nissan will cut the weight of all future models by 2013 when it switches to using ultra high tensile steels for their construction. The firm says the new material will result in a 15kg weight reduction model-to-model and also improve rigidity and reduce vibrations.